Suggestion for a read along this February, please join in! When I posted this picture on Instagram, one or two friends said they wanted to read it. But, as it is a sequel to The Portrait of A Lady by Henry James, there was discussion of reading that first. And so I propose a read-along of The Portrait of A Lady in February. We could take as long as necessary, just read it sometime during the month and discuss it at the end. Of course, feel free to post about it as you go, or offer any other suggestions to the read-along in the comments below, but I am excited about it. Because Mrs Osmand is so good, and I want to remind myself of what came before. I’m in! I’ve had The Portrait of a Lady on my shelf for years, so this is a great incentive to finally dust it off and dive in. Thanks for hosting the read-a-long, Meredith! It’s been ages since I’ve read with you! Ooh, I’ve tried reading Portrait of a Lady before and didn’t get very far in so I would love to try it again. Will join in the read-along! I read Portrait of a Lady last year. I’m definitely interested in reading Mrs. Osmond at some point. Not sure I’m ready to reread Portrait so soon after the first time, but look forward to following what you have to say about the book! And please jump in with comments as you feel inclined! I am so bad at readalongs, but I am tempted! The Portrait of a Lady was a favorite when I read it over a decade ago. 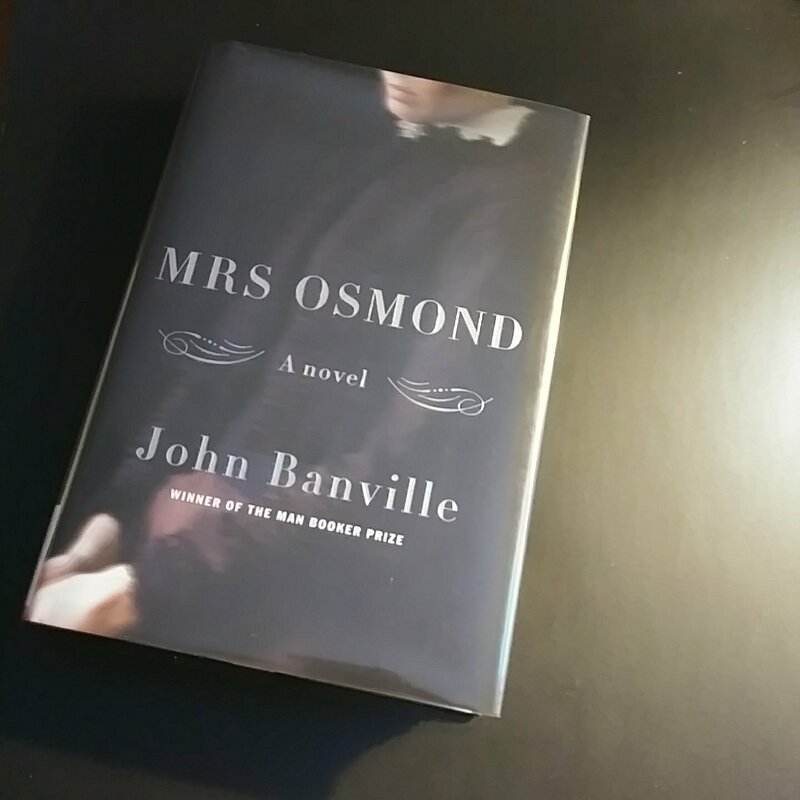 As soon as I saw John Banville had written a sequel, I knew the time for a reread had finally come. I should be able to start in early-mid February… planning a read/listen combination with Juliet Stevenson narrating. Looking forward to reading with friends! I feel like I have to lay Mrs Osmond down until I read The Portrait of A Lady. I like doing things “in order” and not miss something significant. I hope to listen and read as well; those drives to work are so tedious! I’m really glad that several of us are reading it together! I haven’t had a great read along since Emma, I think. I’d like to listen to JS narrate this one too! I’ll check to see if I can get hold of it. Your plan of a read/listen combo sounds great, JoAnn. I’ve seen the movie (Nicole Kidman and John M.) but haven’t read the book. I’m in! I started it for exactly the reason you suggest, then turned to Trollope instead. Happier to read it with you! Hello and happy New Year, Bellezza! I hope you had a wonderful Christmas and enjoyed the holidays! Helen, it is hard (for me) to be beholden to a reading schedule, so I understand if this is something you dip in, or out, of. It will be the first time for me through this classic, but then I have every intention of reading Mrs Osmond afterward. Perhaps you and others may like to stick around for that. It’s great to hear your praise of The Portrait of a Lady, and I do hope you can join in even to leave a comment here or there. I am in, love Henry James and Banville. I started listening, but it was not a very good narration, so decided to continue reading. I am on chapter 14. We read it for the Bronte reading group, but I did not have time to finish it. This sounds perfect. So glad you’re joining in, Lisbeth! I picked up an audio today from the library and it is awful; I would much prefer reading it myself to listening to this woman’s voice. I’m looking forward to sharing our thoughts at the end of February. I’ve never read Portrait. I will keep this in mind. I am woefully behind with my February reading. I committed to two book clubs and so I find myself in a pickle. But if I can make time for it I shall join you. Lovely! Like Les, I started it early (last night) and I cannot put it down! It’s utterly charming and somehow smoother going for me than Wings Of A Dove. I hope you can find time for The Portrait of a Lady. I don’t think it was our failed attempt, dear Arti, I think it is my failed attempt. After all, you succeeded in completing it! I am so glad you are joining in The Portrait of a Woman; i have begun early, as I am a slow reader, too, and I’m enjoying it very much. I plan to carry on with Mrs Osmand next, and welcome any one else who would like to do so. But, for now, let’s enjoy Henry James together. p.s. Congratulations on completing Volume 3 of Proust!